The life of a viking is tough. You've got all this pillaging to do. But not only that, you've gotta worry about getting your own village pillaged. Not only that, you've got those giants, the Jotunn, just going crazy all over everywhere. 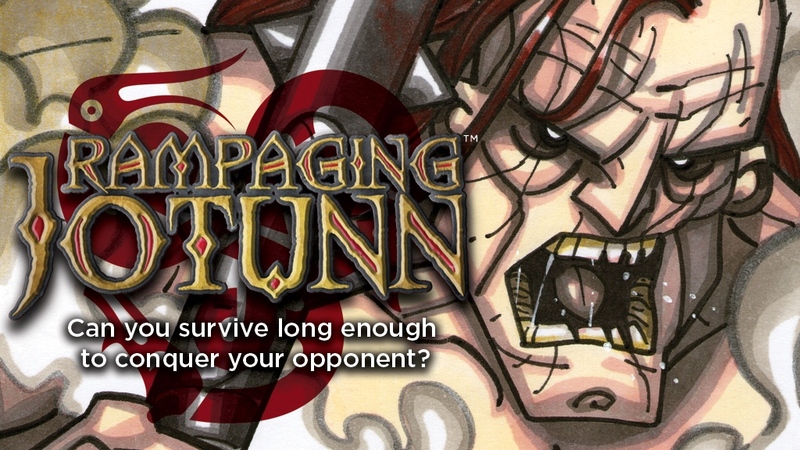 It's balancing between these three things, pillaging, defense, and deflecting the Jotunn, that make up your tasks in Rampaging Jotunn, a new board game that's up on Kickstarter now. In the game, players are in control of two viking armies as well as three viking villages. Your job is to attack your enemy while still defending your own towns. The "wild card" comes in with the Jotunn that are rampaging all around, destroying whatever is in their path. 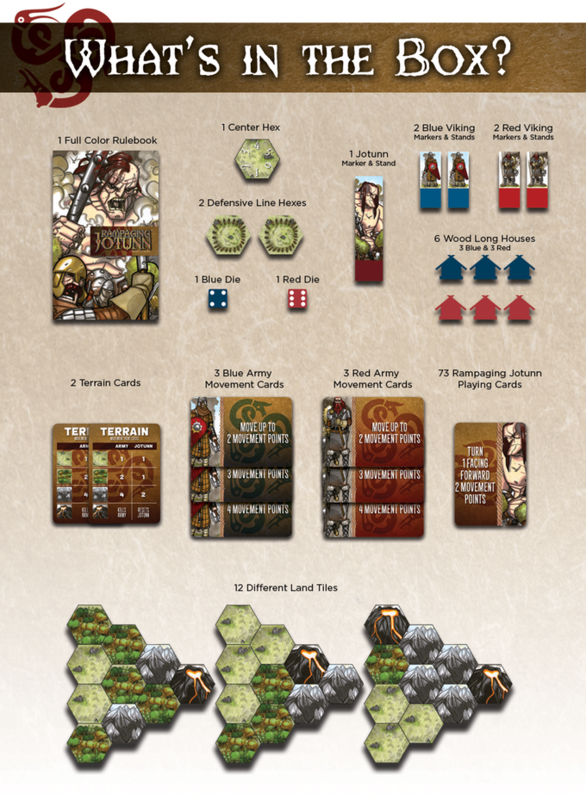 Use the cards in hand to move your armies around the board, as well as trying to direct the Jotunn towards your opponent. Be the last one with a village still standing on the board and be declared the winner. The campaign is underway now. They're about 3/4 of the way to their goal with still 29 days left to go.